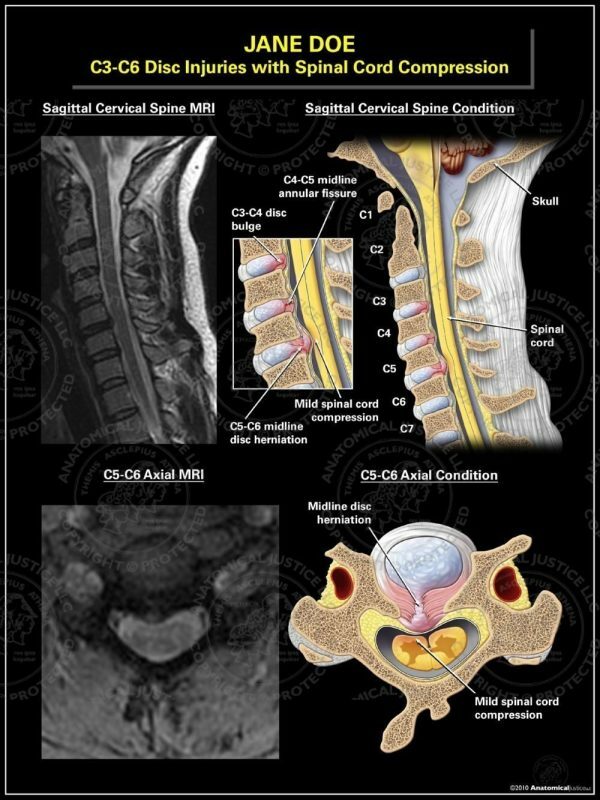 This exhibit features two radiological illustrations of the cervical spine with multiple disc injuries. 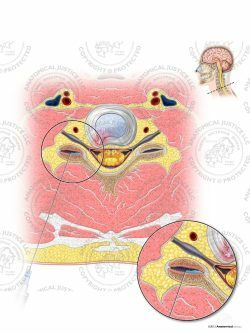 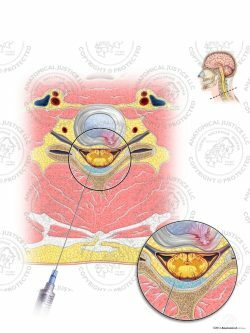 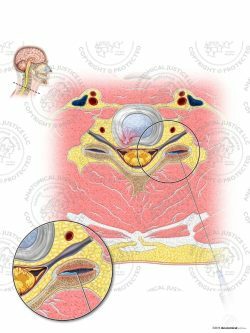 Sagittal conditions include a disc bulge at C3-4, a midline annular fissure at C4-5, and a disc herniation at C5-6. 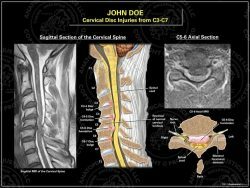 An axial section of C5-6 highlights the disc herniation and its impingement on the spinal canal.